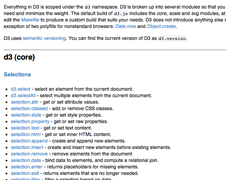 The GitHub-hosted wiki includes a full API reference for all of D3's classes and methods. After you're read the tutorials, use this as a guide to more advanced features, or to breakdown one of the many examples included in the Git repository. Also, feel free to add a link to your work in the examples gallery! Learn the basics of D3 with this introductory tutorial, covering the core concepts of selections and data binding. Read me first! 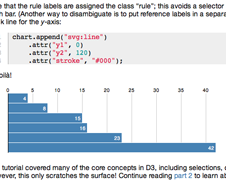 Using the example of a no-frills, static bar chart, this guide describes the core D3 concepts, including selections, functional properties, and scales. 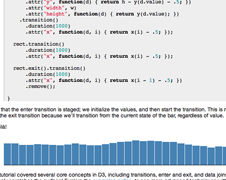 You'll also see how D3 can be applied to HTML, CSS and SVG. A continuation of the above introductory tutorial, this guide covers more exciting dynamic aspects of D3, including transitions and data joins. Learn how to create realtime visualizations and specify enter and exit animations. 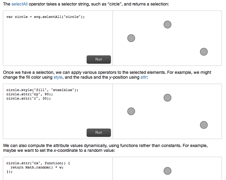 An introduction to D3 for users of Protovis. 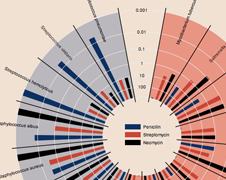 Covers design motivation as well as tips on converting Protovis visualizations to D3. 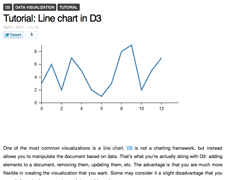 Jan Willem Tulp has posted a number of introductory tutorials on D3 to his blog. 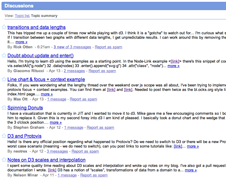 Questions about D3? Post them to our Google Group. Or, contact @mbostock on Twitter.